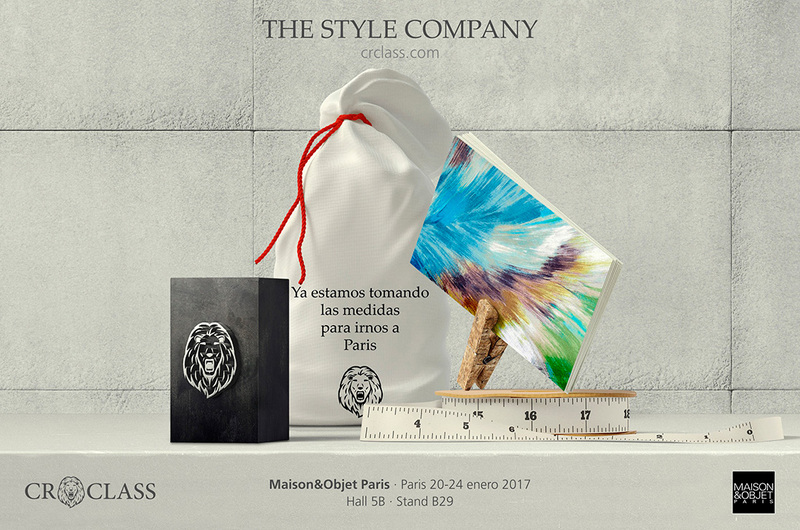 Due to the success achieved at Maison&Objet Miami last May, CR CLASS is taking part in the international and recognised fair Maison&Objet Paris in few weeks which is the main meeting point for design proffesionals in Europe. From 20th to 24th January, we will participate with leading brands of the sector from more tan 50 different countries in this event at Paris-Nord Villepinte Exhibition and convention Centre. Maison&Objet Paris is the most important European fair of the year and CR CLASS will present there its exclusive fabrics and wallpaper as well as its elegant sitting collection. It is expected to hold more than 75 thousands visitors during these days, for this reason CR CLASS is already taking the measurements to go to Paris. If you want to visit us and get to know our catalogue, our location is Hall 5B, stand B29.